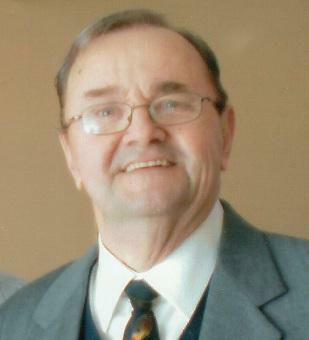 It is with great sadness that the family of the late Stanley Penney announce his passing on Thursday, August 9, 2018 at the Western Memorial Regional Hospital in Corner Brook at the age of 73 years. He leaves to mourn with fond and loving memories his wife of 49 years Marion (nee Brake); children: Craig (Sandra) Penney and Elizabeth MacPherson; grandchildren: Sophia, Grayson and Asher; brothers: Graham (Sharon) Penney, Glenn (Janice) Penney; brothers-in-law: Leonard Bursey and Francis Brake; sisters-in-law: Rosalind (Ron) Sheppard and Ena (Bruce) Lidstone; as well as a large circle of nieces, nephews, other relatives and friends. He was predeceased by his parents Arthur and Aneita Penney, sister Lorraine Bursey. Cremation has taken place. Friends may visit Fillatre’s Funeral Home, 4 St. Mark’s Avenue on Sunday from the hours of 2-4 and 7-9 p.m. The funeral service will be held on Monday, August 13 at 2 p.m. from The Cathedral of St. John the Evangelist, Main Street with The Very Rev. Catherine Short officiating. Interment to follow at Mount Patricia Cemetery. As expressions of sympathy, donations may be made to the SPCA or the Royal Canadian Legion Branch 13. The family guest book may be signed by visiting www.fillatre.ca.